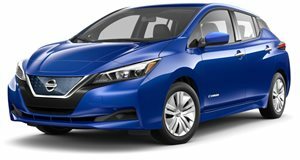 Nissan Giving Away Free Gas To Promote...The Leaf? And this makes sense how? We'll explain. Nissan believes in a gasoline free future, as clearly evidenced by its huge investment in electric vehicle technologies and its pure EV, the Leaf. This summer, Nissan will be giving away free gas at select gas stations in the Northeast, specifically in Massachusetts, Maryland, New York, Connecticut and New Jersey. The goal is to urge consumers to "Kick Gas" and join the growing movement of electric vehicle ownership. Nissan claims the promotion "demonstrates the freedom of not having to pay for fuel." Nissan won’t reveal exactly which gas stations in those states will be offering the free gas advance. Instead, Nissan plans to surprise locals with the free gas over its social media channels. The #KickGas hashtag will be the indicator, allowing consumers to track which gas station Nissan has taken over that day. The free gas will be offered three times in each of the five states. What does Nissan expect from those who’ll receive "fuel freedom?" Just post on social media about their experience with that hashtag. Not a bad deal, honestly. Will this promotion entice some people to ditch their gasoline or hybrid vehicles? Maybe, but then again, gas is already pretty cheap these days in the US, so the concept of experiencing "fuel freedom" may not totally work.